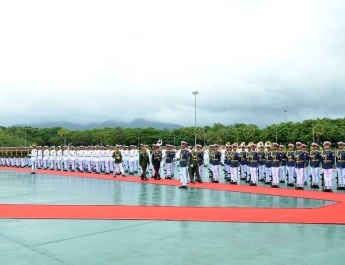 The duty of the Tatmadaw is the national defence. The duty requires military, organizational and administrative prowess. Every Tatmadawman must undergo training to become healthy, fit and skilful to enhance the ability. Every battle can be won through tough training and courage. 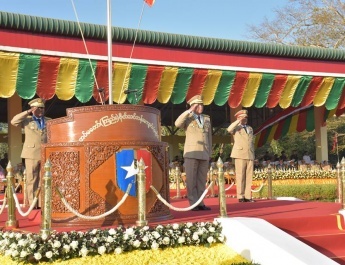 The Tatmadaw is winning public support thanks to the dutiful performance of every Tatmadaw member, and the public support creates strength for the Tatmadaw. 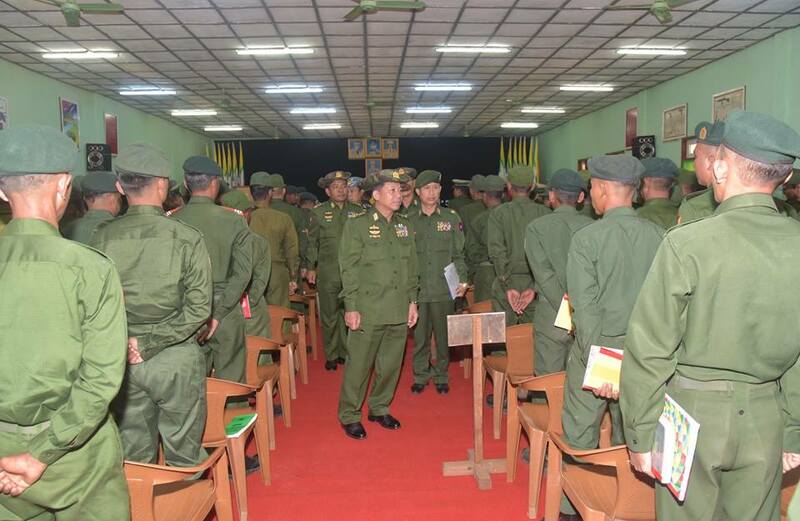 The Tatmadaw and the people will be more indivisible through victories of the Tatmadaw in every battle and its services in the interest of the people, said Commander-in-Chief of Defence Services Senior General Min Aung Hlaing at his meeting with instructors and trainee soldiers this afternoon at the local Tatmadaw advanced training depot in Thabeikkyin Station. Also present at the meeting together with the Senior General were Commander-in-Chief (Navy) Admiral Tin Aung San, Commander-in-Chief (Air) General Khin Aung Myint, senior military officers of the Office of the Commander-in-Chief (Army), the commander of Central Command, the commandant of the Tatmadaw advanced training depot, officer instructors, other ranks and trainees. At the meeting, the Senior General said trainings are being conducted to promote individual abilities, to serve their duties with high level skills, and to shoulder the higher level duties well. Trainings are being provided in accord with the international standard for every soldier to take part in the battles and to be fit and healthy as soon as he becomes a Tatmadaw member. Advanced trainings are being given to dutifully serve the assigned duties. For the health and fitness of Tatmadawmen, measures are being taken to improve their living conditions, lifestyle, dress code and property. Seasonable military uniforms are given in regions. Tatmadawmen need to eat nutritious food rations which can provide calories necessary for the health of a soldier. 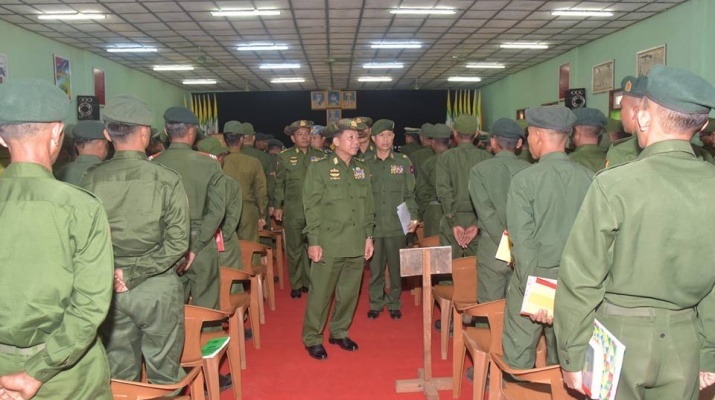 Carrying out mall-scale agricultural and livestock tasks in the whole Tatmadaw is meant for the nutrition of and additional food supply for military officers, other ranks and their families, not for the increased Tatmadaw fund. In order to lead a health life, they must keep their environs, buildings, crockery, and utensils neat and clean. They must stay away from alcohol, smoking and excessive indulgence as much as possible. Drinking alcohol can cause crimes and jeopardize one’s health. Tatmadawmen are urged to try to stay fit and healthy as they have to shoulder duties under severe weather and on different geographical conditions. The Senior General continued to say that Tatmadawmen have been provided with training ranging from basic military training to step-by-step leadership to have abilities to carry out their duties efficiently. Only if they can well handle their weapons and military techniques and strategies through training, will they be able to win every battle. The efficiency of individuals plays a key role in fighting a battle. Therefore, the trainees need to pay attention to what their instructors teach until they are efficient in military skills. At training schools, only qualified instructors are appointed. A victory can be achieved if military skills taught by a training school are practically applied on a battlefield in combination with courage. Myanmar traditional martial arts and combat sports are being given for individual skills and brave. Likewise, the Senior General stressed the need to read for improvement of their lives. By reading, they will have wider scope of knowledge and thinking in international issues, military, economic and administrative sectors. Hence, the Senior General said efforts are being made for education development of Tatmadawmen and their family members. Improvement of individual capabilities will reflect the whole Tatmadaw. Depending on discharging of duty, the Senior General explained ranks are promoted deservedly for individual prestige in time of retirement and for their lives. The Senior General and party cordially greeted course instructors and trainees. 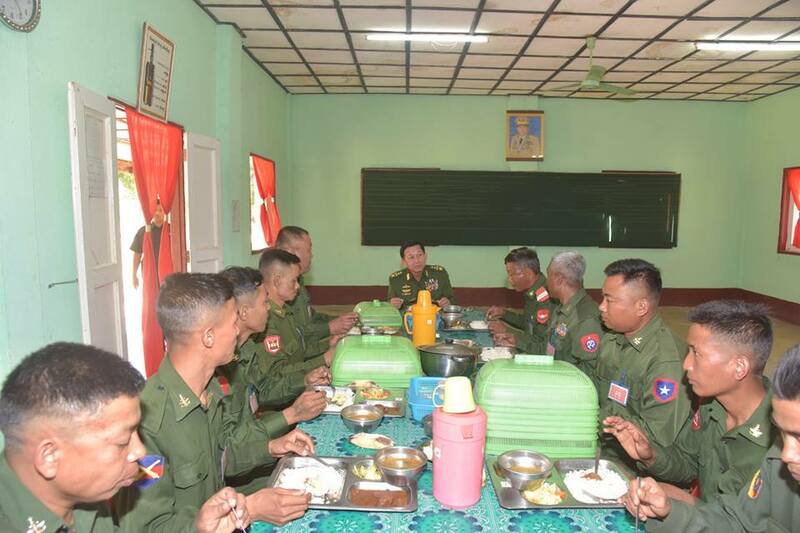 Then, he had the lunch together with trainees at the trainee mess hall. 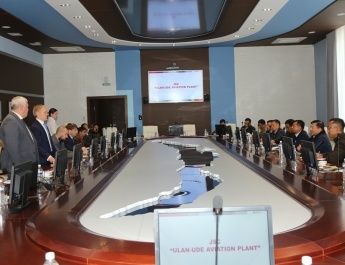 At the meeting hall of the school, the Senior General and party heard reports by the commandant of the depot on undertakings of general staff, adjutant and quartermaster, providing training to trainees, building the military unit and progress of agriculture and livestock breeding tasks. The Senior General fulfilled the requirements after leaving necessary instructions. 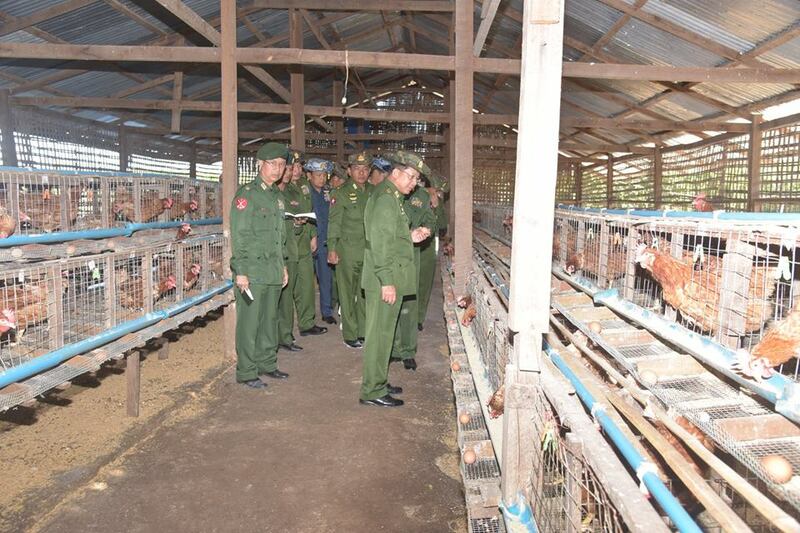 As the Senior General and party inspected breeding of goats, Novogen Brown layers and broilers and DYL pigs in the breeding farm of the depot, the commandant and officials conducted them round the farm. After hearing the reports, the Senior General said food is of importance for everybody. Chicken, pork, mutton, beef and fish are main stable meals in the country. As such, it needs to breed layers, pigs and dairy cows for the majority of people to have cheap and nutritious foods. At present, it is very important. So, the Senior General stressed the need to distribute products of breeding farms to nearby regions as much as possible.